I saw a sight the other day that froze my blood. There was a toddler, a hapless infant, sitting on a lawn. Not even a blanket underneath him, mind you—the poor child was sitting right on the grass. Made my blood run cold. Why? Because it was a lawn made of nothing but blades of grass. Close-cropped and bristly as a Marine’s haircut. 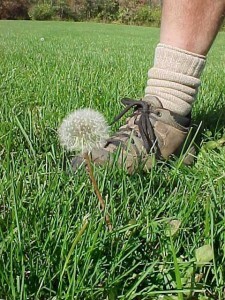 Not a weed to be seen, not a leaf of clover, not a dandelion, not a plantain leaf. Nothing but grass. I suppose so. But it doesn’t stay that way naturally. 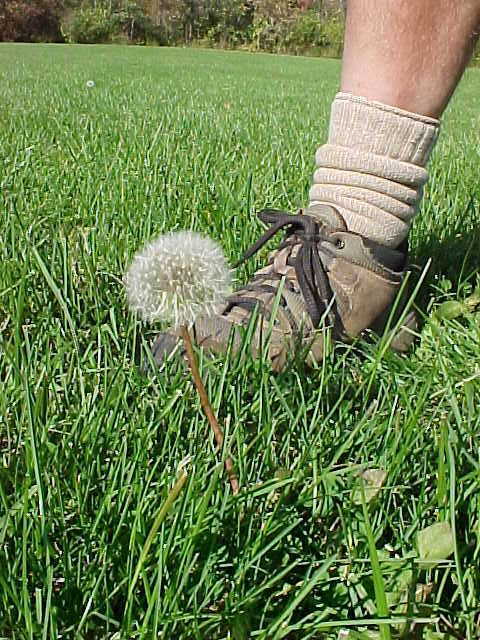 Dandelions, clover, plantain: they’re all are highly aggressive and successful plants that adore the sunny, open habitat of lawns. 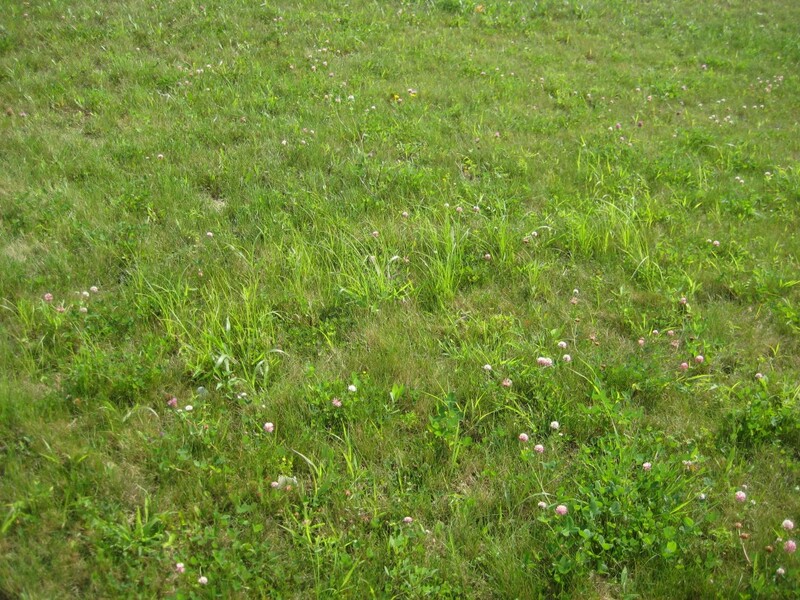 When the lawn is left alone, except for occasional mowings, the clover colonizes. Spreading rapidly through the grass blades, the long runners of clover soon turn a prickly, grass-only lawn into a soft bed, ideal for toddlers to sit on. Or for cats to loll, dogs to sunbathe, robins to forage. Now that’s a lawn. But a lawn that has clover will soon have other plants too. Dandelions, ground ivy, violets and plantain and such. Weeds. 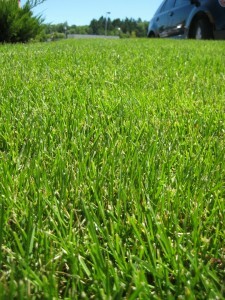 So, some lawn-owners apply herbicides. Poison chemicals which target all broad-leaved species–in other words everything except grass. This seems impossible—how can a poison kill broad-leaved plants and not kill plants with only slightly narrower leaves? But grasses and broad-leaved plants like clover went their separate ways early in their evolutionary history, and developed very different vascular systems. The poison spreads quickly and efficiently through the broad-leaved plants, carried by veins throughout the leaves. 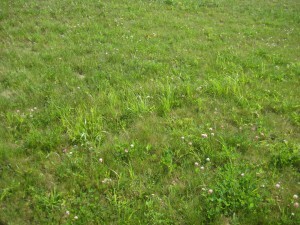 So commonly-applied lawn “weed and feeds” kill off clover, violets, buttercups and dandelions without harming the grass. 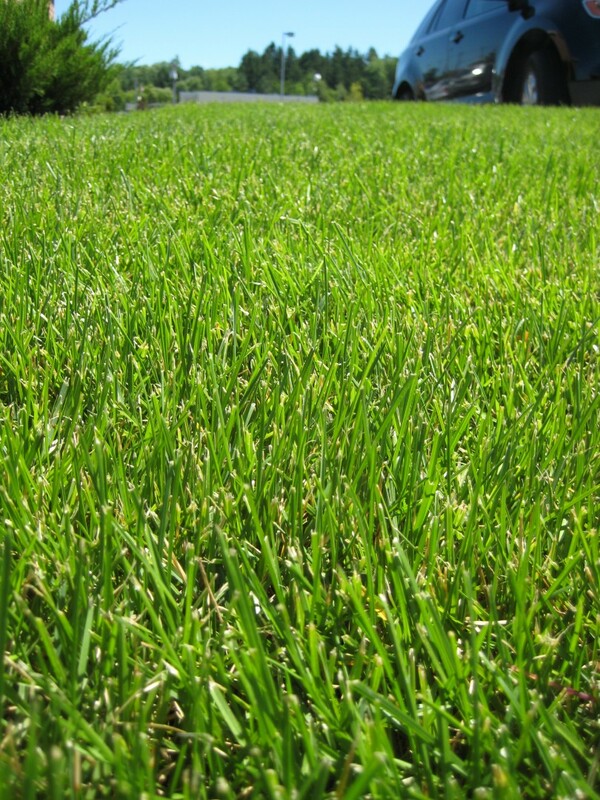 Grassy lawn. Clover/dandelion/broadleaf lawn. I know which one my baby’s going to sit on.